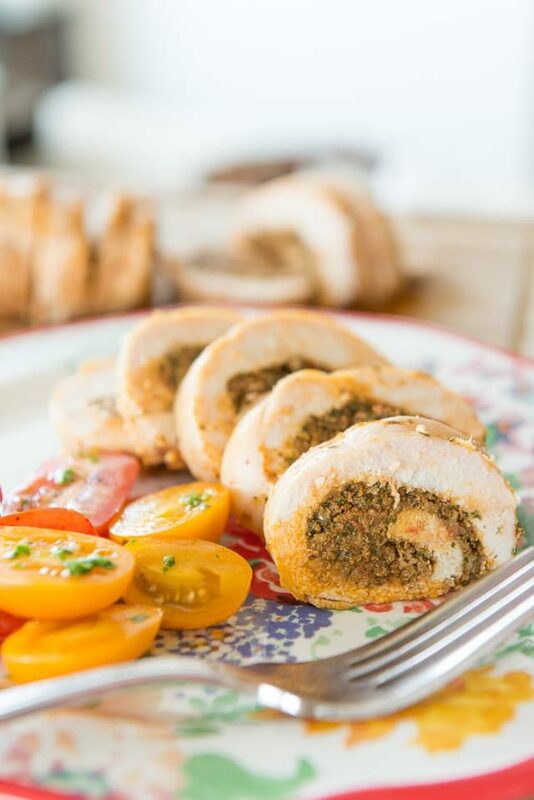 Chicken breast is pounded out and rolled up with a sundried tomato pesto for an easy and flavorful dinner. Updated the recipe, photos, and writing. Originally published August 2011. I’ve always loved chicken roulade, because in every bite you get a little bit of chicken and a little bit of the stuffing. And in a way that’s similar to a Swiss Roll Cake, it may not look like much before it’s sliced, but when you slice it up and serve it on the plate, it always looks so pretty. 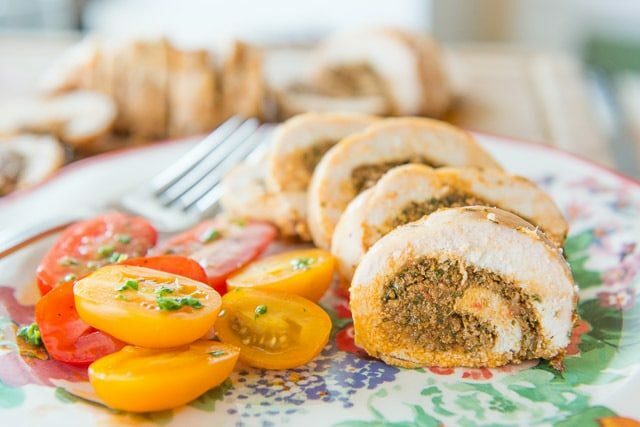 One of my favorite stuffings for chicken roulade is this sundried tomato pesto. It took me a while to get on board with sundried tomatoes. When I was a little girl in Girl Scouts, on Halloween they told us they were dried up newts and I was scarred for quite a while, haha. Even now, I only like sundried tomatoes in certain settings, but I think this is a great one. 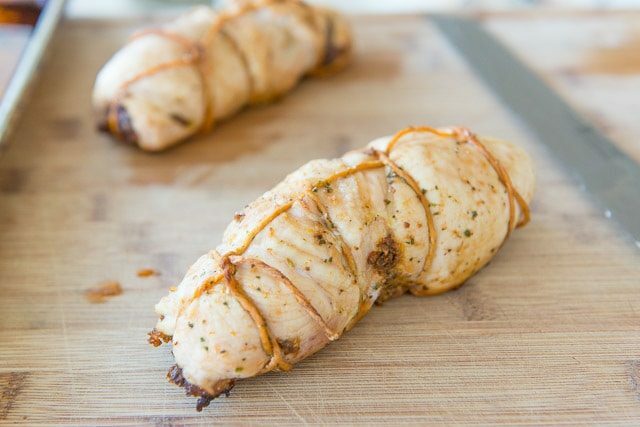 Sundried tomatoes are pulsed with parmesan, walnuts, scallions, basil, parsley, and olive oil, and rolled up into thinly pounded chicken breasts. It screams weeknight dinner! 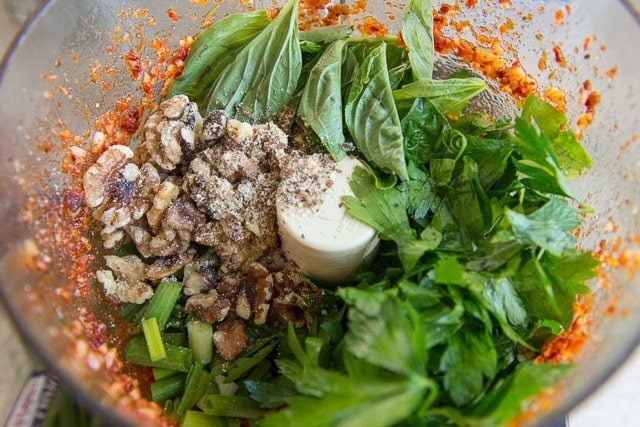 Start the pesto by adding parmigiano reggiano chunks and sundried tomatoes together in the bowl of a food processor. I use the sundried tomatoes packed in olive oil, by the way. Bake in the oven for about 25 minutes, until fully cooked through. Snip and remove the twine, then cut into slices for the prettiest presentation. Enjoy! 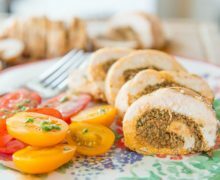 Chicken breast is pounded out and rolled up with a sundried tomato pesto for an easy and flavorful dinner. 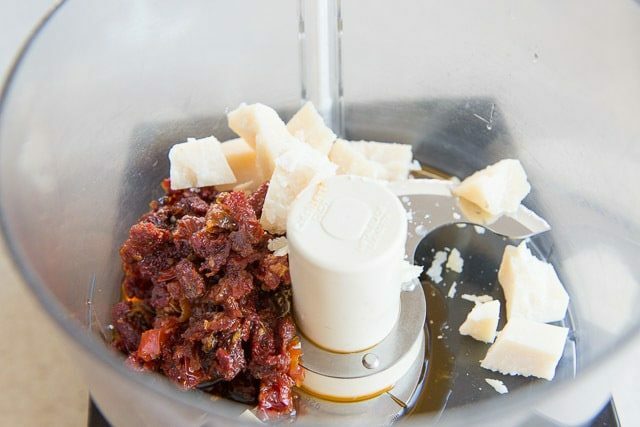 Add the cheese and sundried tomatoes to a food processor and pulse until chopped up. Add the scallions, parsley, basil, and nuts and pulse until it’s chopped up. 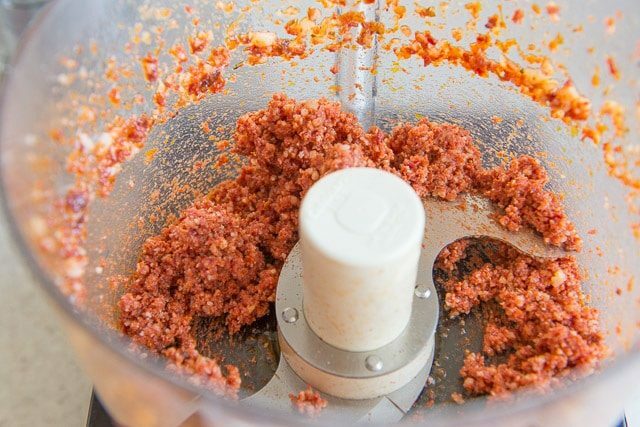 Stream in the sundried tomato olive oil and pulse until combined. The pesto will be pretty chunky, but the pesto stays rolled up in the chicken better if it’s thicker. 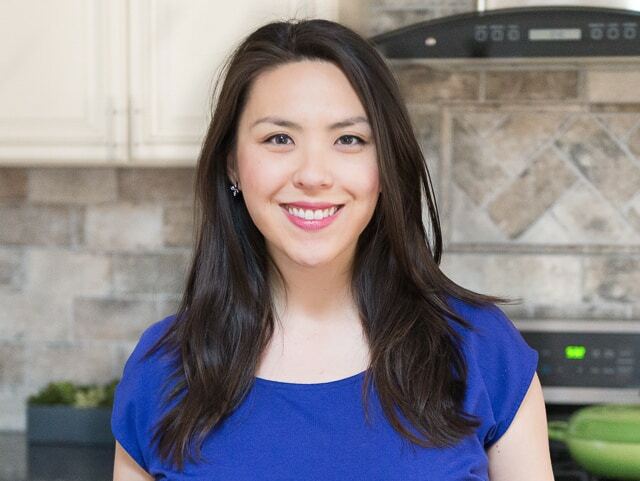 Set your chicken breasts on a cutting board, and butterfly them with a very sharp knife, cutting into the thickest part of the breast. Then place the butterflied chicken breast into a gallon sized ziploc bag and pound it out with a meat mallet or a frying pan. 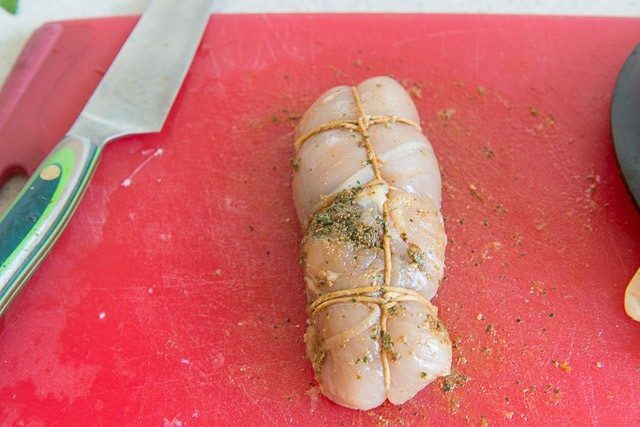 Before you get your hands messy, cut some kitchen twine to tie up your chicken. 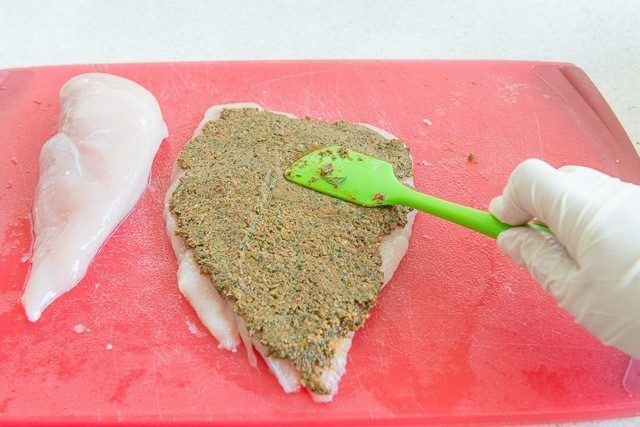 Lay the flattened chicken breast out on a flat surface, and season with salt and pepper. 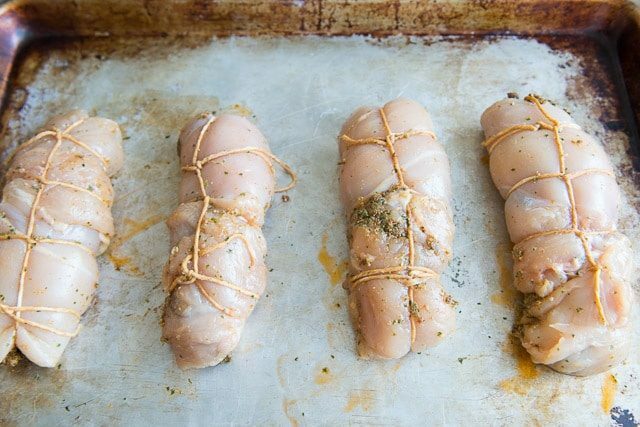 Spread a big spoonful of the sundried tomato pesto onto the breast, then roll the chicken up the length of the pieces, and secure with the kitchen twine. Repeat with the remaining chicken breasts and pesto. Place the chicken on a sheet pan and bake for about 25 minutes, until the interior reaches 160 degrees F on an instant read thermometer. Let the meat rest for a couple minutes, then slice and enjoy! This was amazing thank you, my mum, dad and brother all loved it, and it is usually hard to find something that they all love. Definitely one for the cook book. Hi Jane, I haven’t tried it myself but can’t think of any reason why it wouldn’t work. I’d start with 5 minutes longer, but I always think it’s best to check with a thermometer since the thickness of the rolls can vary the cook time as well. Enjoy! ‘ll have to try this recipe and love the pesto with parm. twist, should also keep chicken pretty moist I’m guessing, thanks for this!